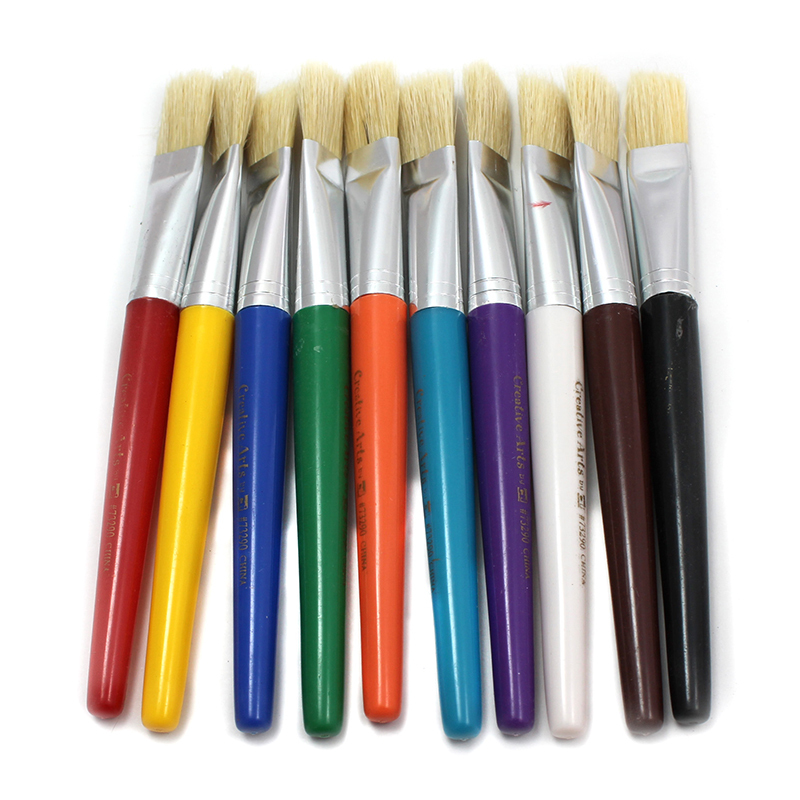 Short-handled easel brushes have natural wood color handles, aluminum ferrules and black bristles. These brushes are great for tempera paints. Flat bristles measure 1". 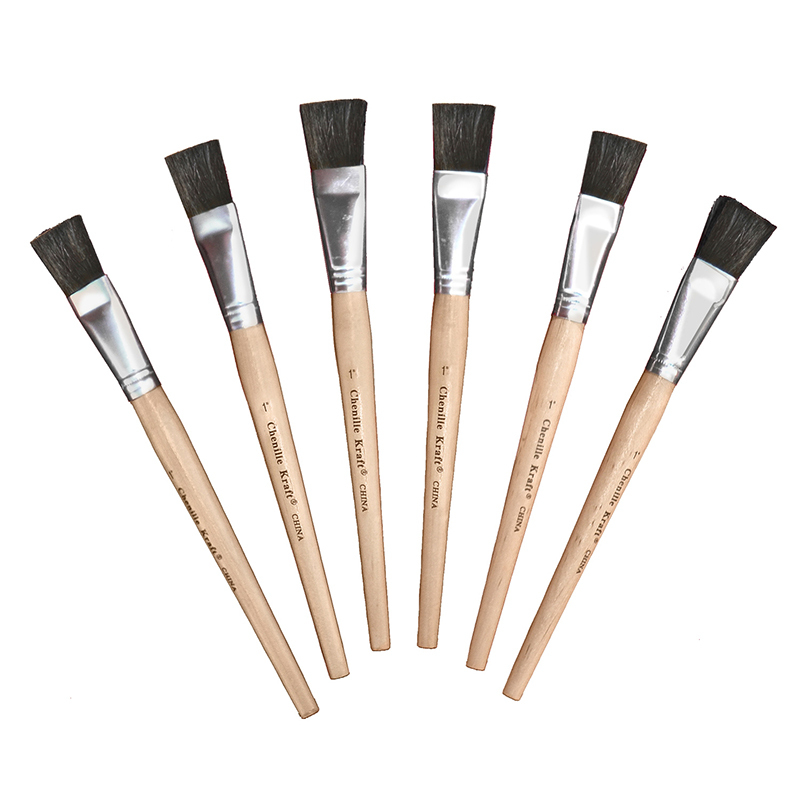 Each pack includes 6 short-handled easel brushes. Bundle includes 3 packs for a total of 18 paint brushes. 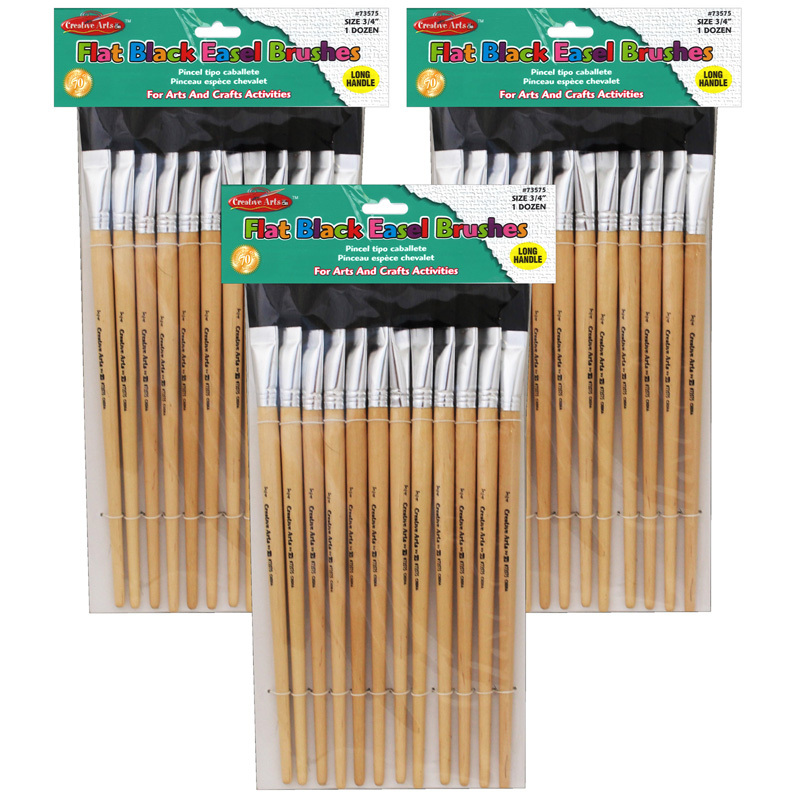 The (3 Pk) Stubby Easel Brushes 1inwide 6 Per Pk can be found in our Paint Brushes product category within the Arts & Crafts. The flat easel paint brush is perfect for arts and crafts. The brush has black bristles, and is 3/4 inch wide. Each pack includes 12 brushes. Sold as 3 packs for a total of 36 brushes.